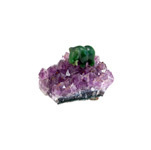 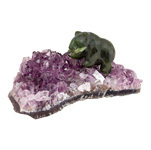 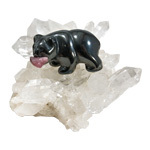 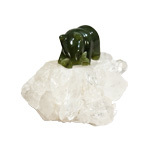 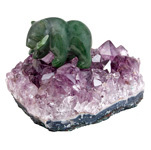 A beautifully hand carved BC jade bear holding a fish sits atop sparkling amethyst crystal. 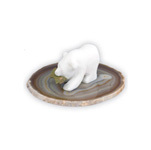 Assembled in Canada by our in-house artisan. 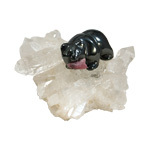 Due to the unique nature of the materials, each piece is truly unique. 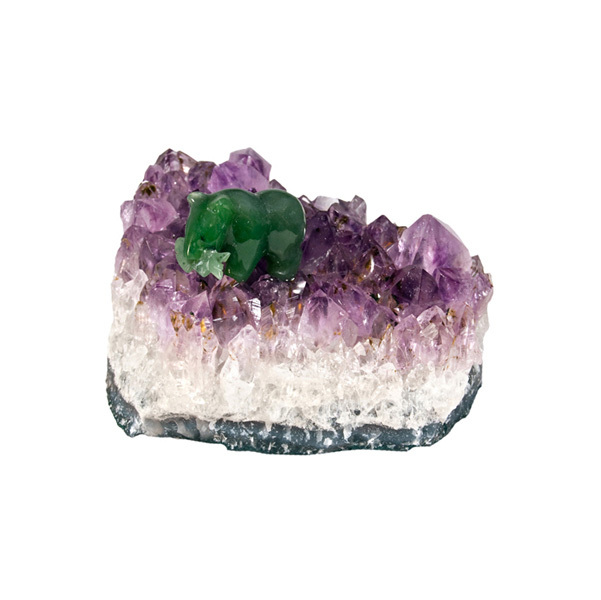 Photos are for representation only. 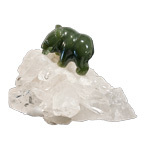 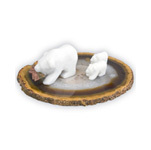 1.25″ bears are available in Jade or hematite and are also available un-mounted.